​Fresh Wines is a family-run wine merchants and importers, founded by husband-and-wife team Neil Freshwater and Kristen Knowles. 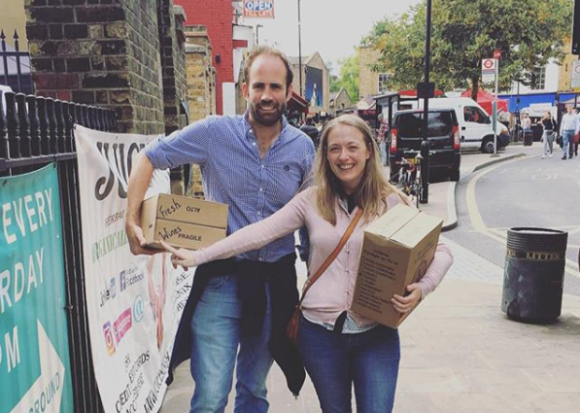 Having experienced the delights of natural wine around Europe, Neil and Kristen decided to start importing so that people closer to home can enjoy it. They buy their wines directly from small-scale vineyards and from other importers focused on natural wines. Natural wine is made with minimal intervention, meaning there are minimal added sulphites and absolutely no chemical additives. The only yeasts used in the winemaking process are those that naturally occur on the grapes. The result is wine which is lively and delicious, and we think it tastes much better than more commercially-produced wines. Natural wines are made with sustainable farming practices, and are very often organic or biodynamic as well, but what makes a wine "natural" is that nothing is added to the grapes or juice during the winemaking process. Most commercially-produced wines, like those found in supermarkets, contain chemical additives to alter wine's flavour, aroma and appearance. Not only do wines made without these additives taste amazing, they are also affordable. Most wine producing regions make natural wine, and it is available in red, white, rose, sparkling and even orange varieties, so there is something to suit all tastes. If you're interested in trying natural wines, we hope you'll stop by our farmer's market stalls for a free sample and a bit of chat - it would make our day! Otherwise, take a look at our current stock on here and you can order some bottles. Read more about why we love natural wine here.